European soccer’s publicly traded teams are stunning investors as much as fans. 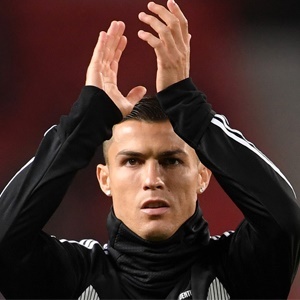 The latest is Juventus Football Club S.p.A., whose 3-0 victory against Atletico Madrid - thanks to a hat-trick from Cristiano Ronaldo - sent the Italian team into the UEFA Champions League quarter-final. Shares of the team known as “La Vecchia Signora,” or “The Old Lady," rallied as much as 30%, the most on record. After the team lost the first game 2-0 on February 21, bookmakers had offered odds on Juve progressing to the next round of 16/1, implying a probability of 5.9%. It was the third remarkable comeback in just eight days for listed teams after Amsterdam’s AFC Ajax NV dumped Real Madrid out of the continent’s elite tournament despite losing the first game 2-1 and England’s Manchester United Plc overturned a two-goal first-leg deficit to defeat Paris St-Germain in the French capital. The wins have significant financial implications: Champions League quarter finalists receive an extra 10.5 million euros in prize money, with another 31 million euros potentially at stake if clubs progress further. Success in Europe’s most prestigious tournament also tends to bring greater leverage with sponsors. Juventus’s progress is a boon for Exor NV, the holding company owned by the billionaire Agnellis, which owns 64% of the club’s stock. The family’s other investments include stakes in carmakers Ferrari NV and Fiat Chrysler Automobiles N.V.